Laptop hanging problem is one of the most irritating problems that the laptop users are facing these days. If you are one of those whose laptop screen has a hanging problem, contact us to fix the issue without any hassle. If you cannot bring your laptop to us, we will provide you free pickup and delivery services. Our aim is to provide the best repair services to our customers. We just started with home repair service as well. In case, you want our team to tackle with the laptop hanging or freezing problem in front of you, and our team would open your system in front of you. We will show you the problem area and then give a quotation to you. If you are 100% satisfied with our competitive prices, you can sign the quotation part mentioning your agreement to troubleshoot the problem asap. We are a legitimate laptop repair center that also provides money back guarantee to our customers in case they are not satisfied with our services. This is one of the primary reasons why our customers trust us and contact us for laptop repair and replacement services. 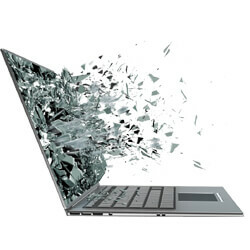 Contact us today of your laptop is hanging on a frequent basis.